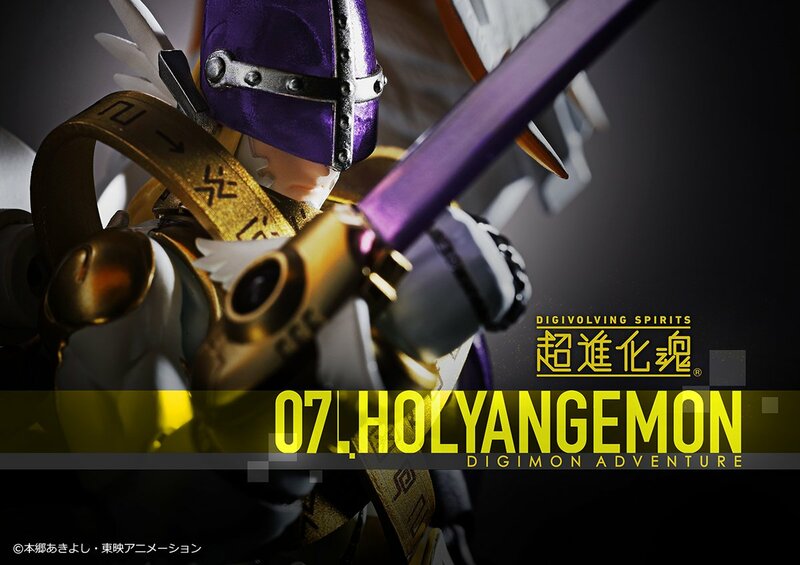 After first being seen a bit over a week ago, along with confirmation via a promotional image in the newest V-Jump, we have a better look at the promotional image for the newest Digivolving Spirit figure, HolyAngemon! 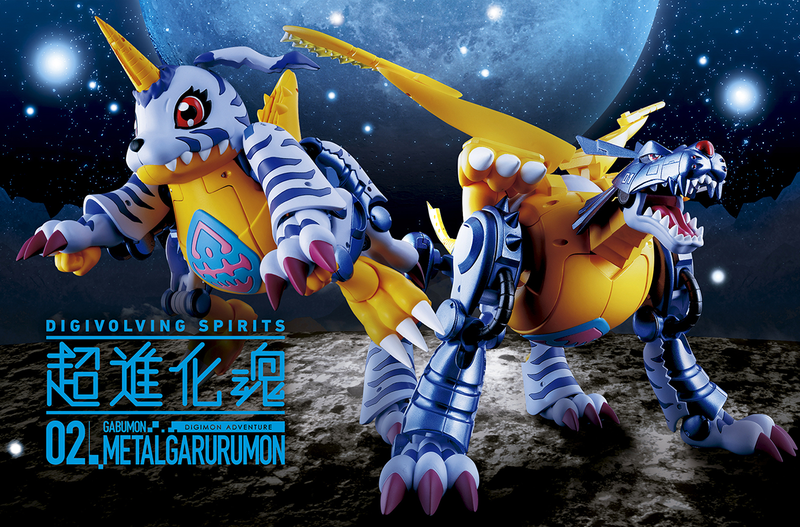 After being confirmed at SDCC earlier, Tamashii has put up a nice clean version of the promo image. We've replaced the prior photo version with this clean version. 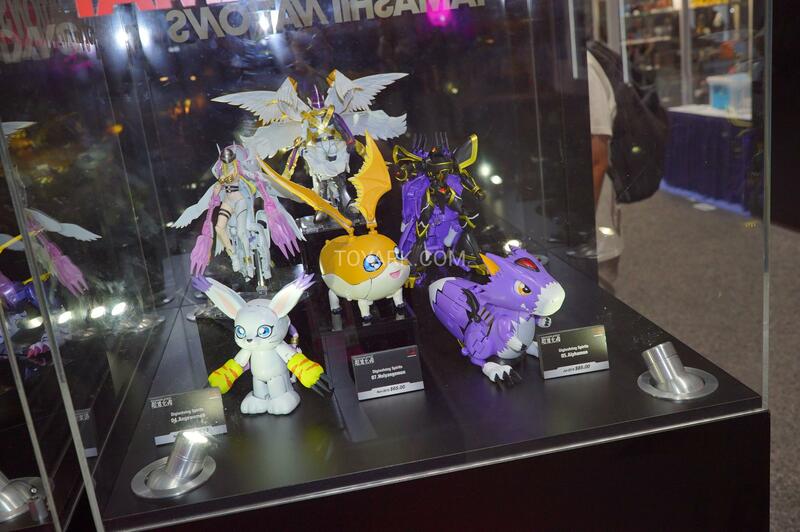 Plus we also have a shot from Tamashii of the figure on display at SDCC. 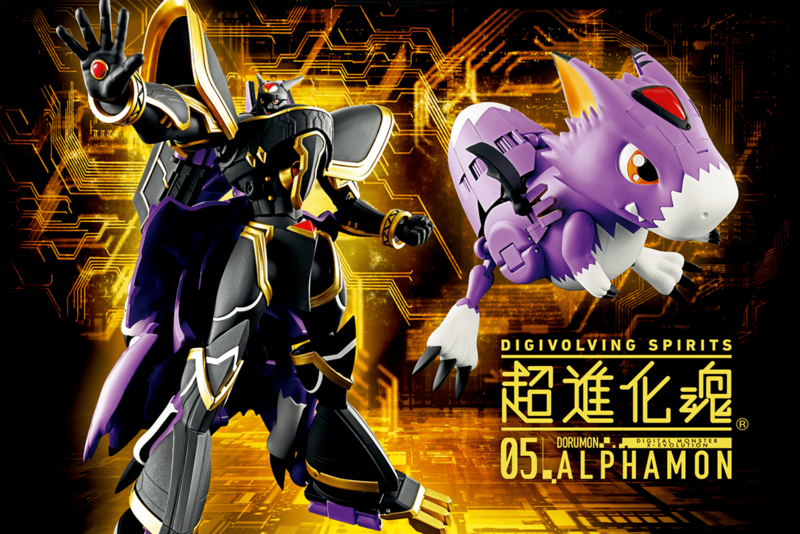 Both forms look rather impressive, and it'll be interesting to see his full translation. Update- Cleaned up and added some official images. Prior Update- Thanks to the ToyArk we have a photo of the figure on display in both forms from SDCC! The figure looks pretty great in both forms. 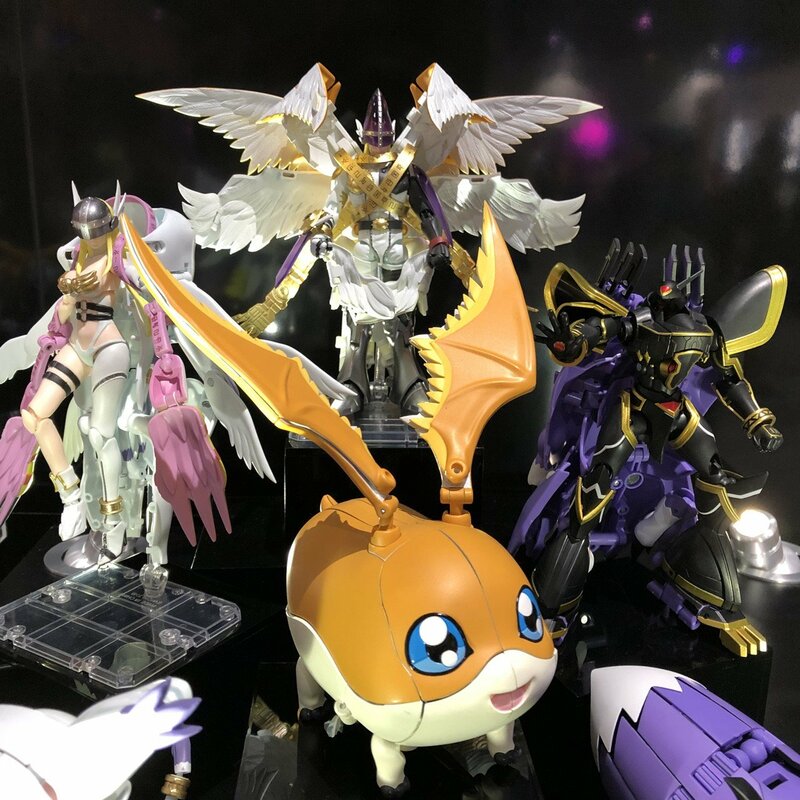 The ToyArk has a bunch of other SDCC toy coverage, so it may be worth a look since there's a decent chance a brand you like has new stuff being shown off. 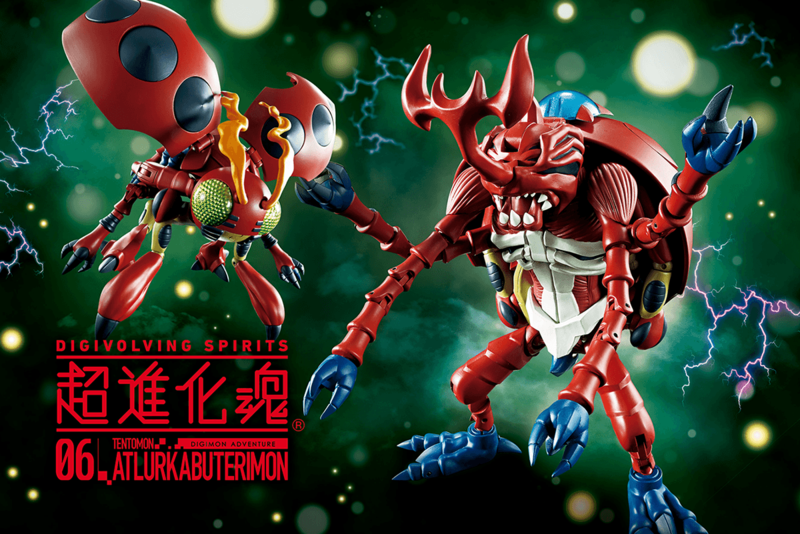 I saw a picture of this figure at San Diego Comic Con on Toyark.com, and it says it's going to retail for $65.00. 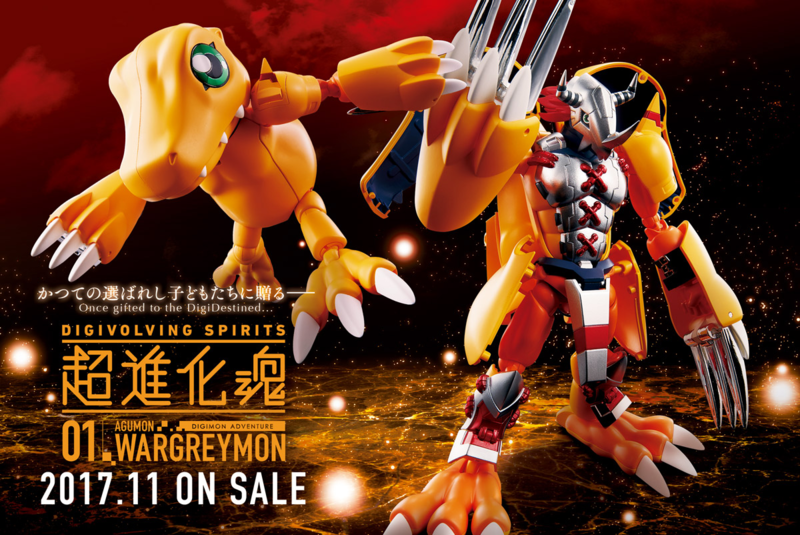 So I guess this figure will retail for 6,500 Japanese Yen in Japan. And it will be released in November. Last edited by Mugenlazlo; 07-19-2018 at 08:04 AM. Not gonna lie, this is probably the best/cleanest looking one yet. I'm stoked, but it probably won't come out for a while! That is nice and interesting but I do still want to know how it'll work. 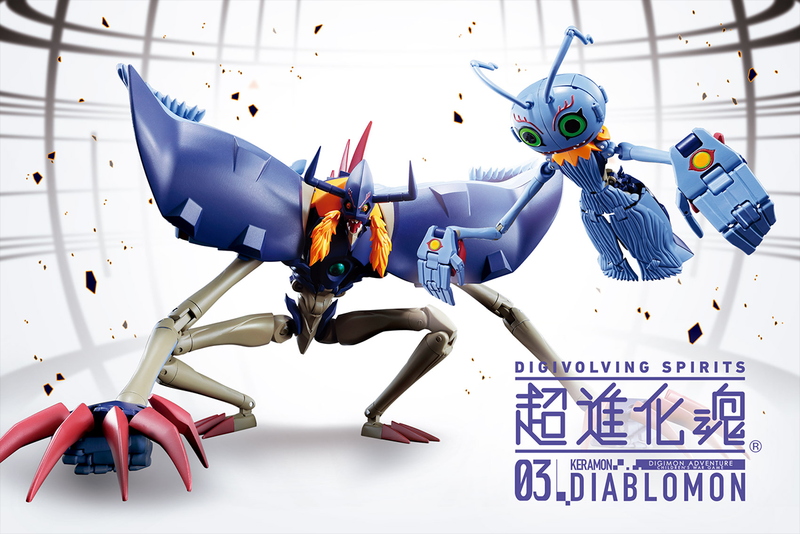 Updated with clean versions of the promo image, plus an official image from Tamashii of the figure on display.